CAPA announced the lineup of national acts which will be headlining the 2013 Festival Latino presented by Honda. The two-day, family-friendly, free event will be held Saturday and Sunday, August 10 and 11, from 11 am-8 pm each day, in Genoa Park downtown. A detailed schedule will be released on a later date, and will include the full lineup of Ohio-based Latino bands and dance companies that will also be featured at the 2013 Festival. Amarfis Aquino, Dominican vocalist and leader of merengue band La Banda de Atakke, released the group’s self-titled, debut album in 1998, generating hits such as “Los Grilleros,” which showed up on charts all over Latin America, the US, and Europe. His next albums—Caeme Atras (2000), La Revolucion del Mambo (2002), and Chillin’ (2003)—exceeded all sales expectations and generated several hits, building up a strong radio presence and making it to Billboard’s Latin Tropical Airplay charts in 2005. Los Amigos Invisibles have developed a sound based on the “gozadera” – an irresistible fusion of Latin rhythms with fiery funk and lounge music. Their 2009 release, Commercial, was awarded a Latin Grammy for Best Alternative Album, the Venezuelan band’s fifth career Grammy nomination. In their 18 years in the music business, Los Amigos Invisibles have recorded six studio albums and one live DVD/CD, toured more than 60 countries, and established their own record label. Mexican singer Diana Reyes, queen of “el pasitoduranguense” or duranguense music, has released three certified Gold records since 2004—La Reina del Pasito Duranguense (2005), Las No. 1 de la Reina (2007), and Te Voy a Mostrar (2007). Winner of numerous awards at the national level, Reyes has competed on “Mira Quién Baila,” the Spanish-language version of “Dancing with the Stars;” was the first woman and the first artist of Mexican descent to perform on “IN-STUDIO,” a Univision showcase of new artists; and was a featured celebrity on “Latinas VIP,” the first Spanish-language reality series of its kind. Dominican artist Karlos Rosé is a songwriter and guitarist known for his fusion of music genres such as R&B, pop, Bachata, and urban. His 2012 debut single, a Bachata cover of Bruno Mars’ “Just the Way You Are,” peaked at #1 on the Billboard Tropical Songs chart and stayed in the top 20 for more than 20 consecutive weeks. His follow-up single, “Infiel” (“Infidel”), debuted at #9 on the Billboard Tropical Songs chart. Rosé’s full-length album Géminis (Gemini) will be released in 2013. 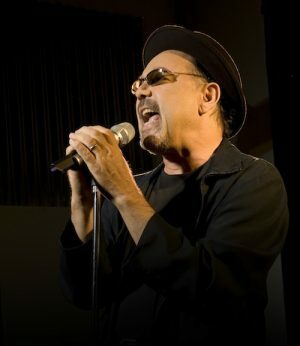 Panama-born Ruben Blades has recorded landmark albums in classic Afro-Cuban salsa as well as Afro-Cuban music touched with rock, jazz, pan-Latin, and other influences from around the world. He has earned 10 Grammy Awards, as well as a Cable ACE Award and Emmy, Independent Spirit, and ALMA nominations for his acting. He has been honored with the ASCAP Founders Award, the Grammy Recording Academy’s Heroes Award, the Hispanic Heritage Foundation’s arts award, and the Hispanic Organization of Latin Actors’ Raúl Juliá HOLA Founders Award.